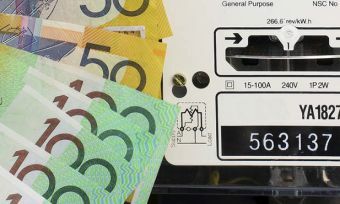 Energy giant AGL has been fined $60,000 for failing to notify customers that their fixed term retail contracts were due to end and not providing enough time for them to negotiate improved terms or change suppliers. The Australian Energy Regulator (AER) issued infringement notices to AGL, alleging that between 2013 and 2017, the retailer failed to inform more than 1,000 customers across New South Wales, South Australia and Queensland that their market offer plans were set to expire. The National Energy Retail Rules require that retailers inform customers in writing about their options at the end of any fixed term contract, such as setting up a new contract or moving to another retailer. Importantly, retailers must disclose what happens if they choose to not enter into a new contract with their current retailer. AER chair, Ms Conboy, said it was concerning that by not telling customers that their retail contracts were due to end, AGL failed to provide households with time to look around for a better energy deal. “These requirements of the Retail Rules are important safeguards to ensure customers are fully informed and able to make active choices of their retail energy supplier,” said Ms Conboy. Recent changes to the Retail Rules mean customers who sign up to an ongoing contract that has a specified benefit period must also receive notification when that benefit is ending or changing. The AER says it will be closely monitoring retailers’ compliance with this new requirement to ensure customers get the benefit of the new rule. AGL told Fairfax Media that customers were not informed of their options because of an automated system error. “All of the customers who did not receive letters simply stayed on the same introductory plans that they were already on. We have now written to all customers, advising them of the details of their new energy plans and no customers are worse off,” an AGL spokesperson said. How do the Energy Retail Rules work? The Energy Retail Law and Retail Rules (which apply in New South Wales, the Australian Capital Territory, Tasmania, Queensland and South Australia) set out key protections and obligations for energy customers and the retail and distribution businesses they buy their energy from. This rule, the AER says, promotes competition and ensures that customers are able to actively seek out potentially better offers in the market after the fixed term market retail contract has expired. The difference between the cheapest and most expensive electricity contracts on the market can be huge. In South Australia at the time of writing, the difference between the cheapest retail market offer and most expensive standard contract on Canstar Blue’s database is around $1,500 a year (based on a typical five person household).